Not easy to sum up the history of Australia in a few lines ... however, it is always interesting to be aware of the major events that have marked the history of the country that 'we are visiting. To us then we dive deeper into the periods that excite us. 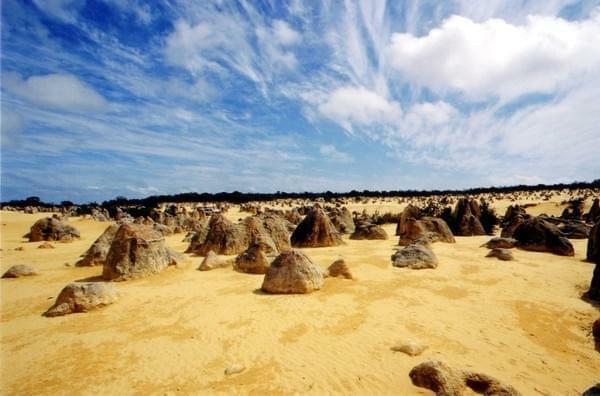 Australia has been inhabited since around 50,000 years by Aborigines arrived by land (through an ice age) from Asia. Many European explorers sailing around the island to XVIéme and XVII century but it was James Cook in 1770 who takes possession for Britain. In 1788, the first colony was established at Port Jackson, on the current territory of Sydney. It is a prison camp 1030 people including 736 common prisoners. Throughout the XIXth century interior lands are explored and new British colonies are created. Sending prisoners will cease in 1848. The first years were difficult and a system of agriculture and livestock is long to implement. The prisoner used as cheap labor work. The aborigines, estimated at 350,000 before the arrival of Europeans, saw their population decline due to diseases, forced displacement but also massacres. Some historians speak of true genocide. Breeders are installed in the center of the country which creates tension with aborigines. From 1850, a real gold rush will greatly increase the population. In 1855, the six colonies became independent. In the second half of the XIX century, Australia is a laboratory for social reform, it is here that the first Labor government was elected. Women get the right to vote in 1884 in Victoria. On January 1, 1901, the federation of colonies becomes a dominion of the British Empire. During World War I, Australians send more than 400,000 men in Europe. In the 1930s, Australia was hit hard by the economic crisis. Australia became independent in 1931 with the Statute of Westminster, which will be ratified by the Australian parliament in 1942. During World War II Australia also sends men in Europe and from 1941 it is threatened by the Japanese. She returned to war in Asia Pacific and obtain the surrender of Japan in 1945. From the Second World War, the great ally of Australia are the United States. After the war, Australia is a founding member of the Nation-United. A boom opens and Australia welcomed immigrants from around the world. Japan replacing Britain as the first trade partner. The Australians involved in the war against communism by sending men in Malaysia, Korea and Vietnam. The constitutional alliance with Great Britain ended in 1986 and Australia becomes a major power in the Asia-Pacific region.